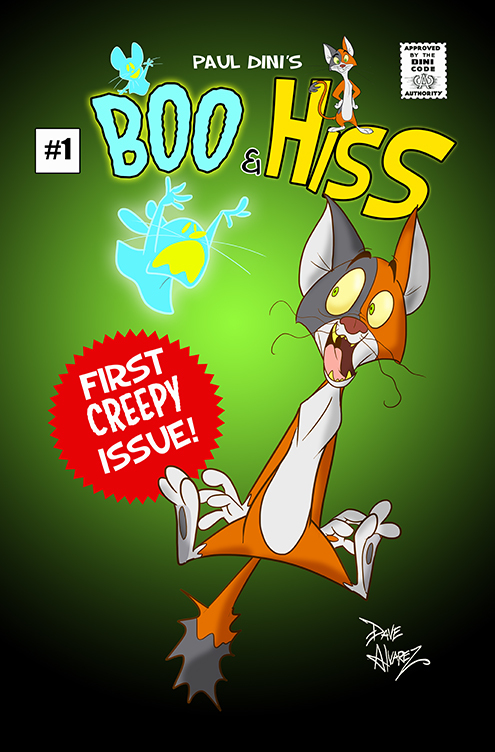 Paul Dini, the writer/producer, best know for his work on multiple Warner Bros. Animation/DC Entertainment animated series, including Batman: The Animated Series and Tiny Toon Adventures, unveils his upcoming 48-page original graphic novel, BOO & HISS! Erasmus Fox is an entertainment company dedicated to working with talented creators to bring their projects to life. The small team at Erasmus Fox has decades of experience producing amazing content and is excited to bring high-quality comics, books, collectibles, and board games into the world.